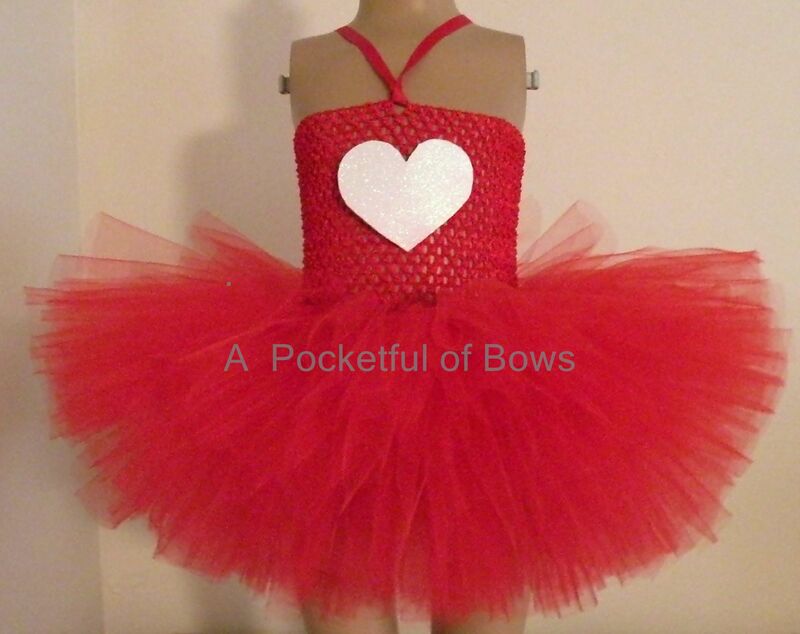 Red Valentine tutu dress with white heart. Come with red halter straps and a big white heart on the front. The fluffy tulle skirt is red.